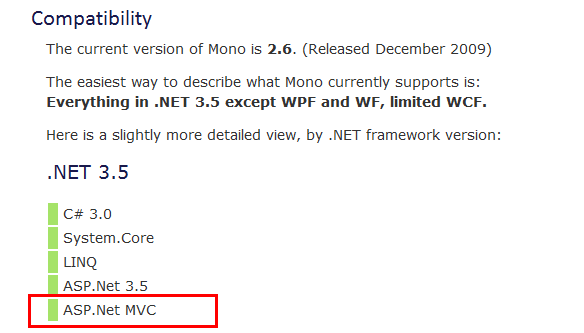 I had not realized that ASP.NET MVC had been implemented by the Mono Project team. The Mono Project has implemented Visual Studio tools to allow you to develop for Linux without leaving Visual Studio. 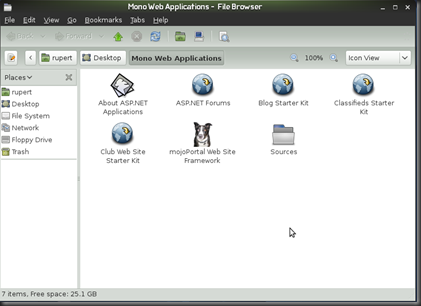 They also put together virtual machines that are loaded with Suse Linux, Mono and all the tools you need to get started. 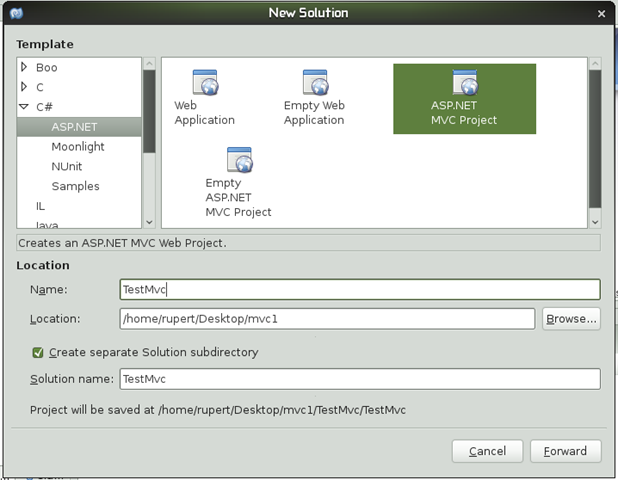 This post will provide you with the steps to begin developing with ASP.NET MVC in a Linux using one of the virtual machines. You will need two downloads to get started. 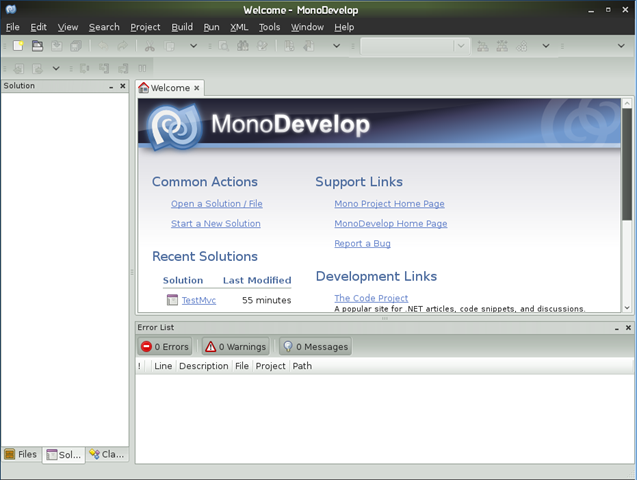 First go and download VMware Player. You will need to fill out the registration page to receive a link in an email for the download. 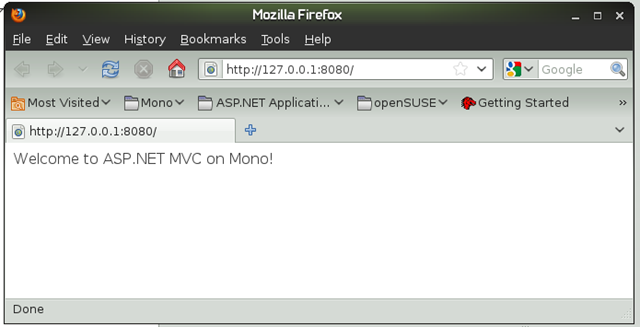 Next, download the VMware image from the Mono Project page. Be aware that these links may break in the future as new version become available. In that case you may need a little help from Google. 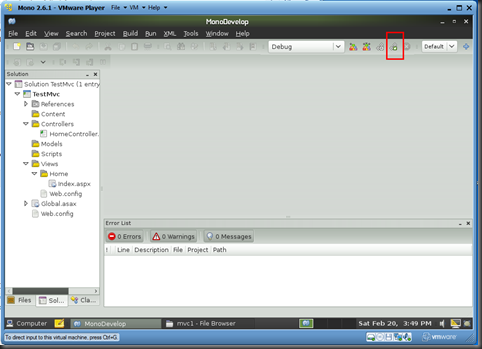 Select the ‘Open with VMware Player’ option. You can ignore the download VMware Player tools option. 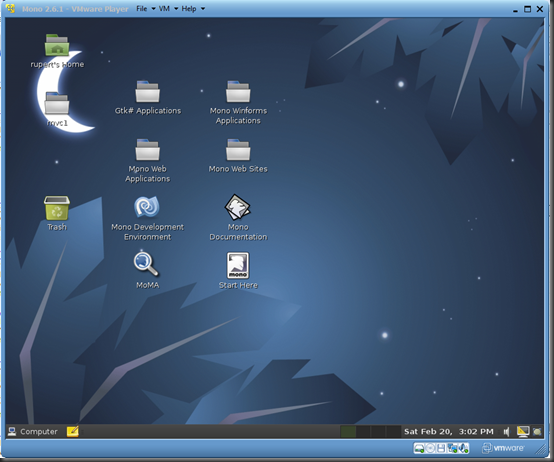 If everything goes well your distro of SUSE Linux should start and you will see the following desktop. 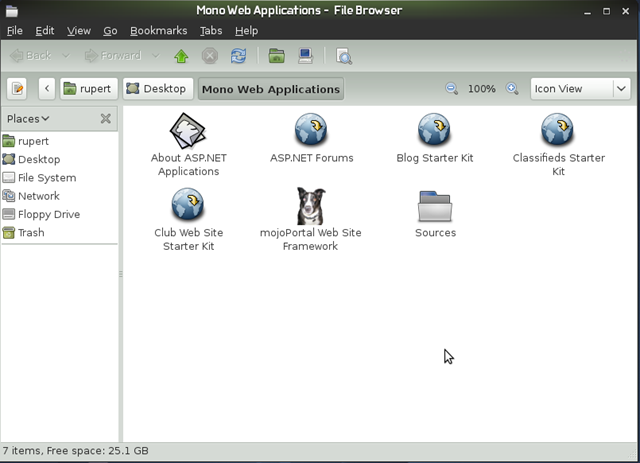 The Mono Project Team has been kind enough to set this image up with everything you need to get started developing. 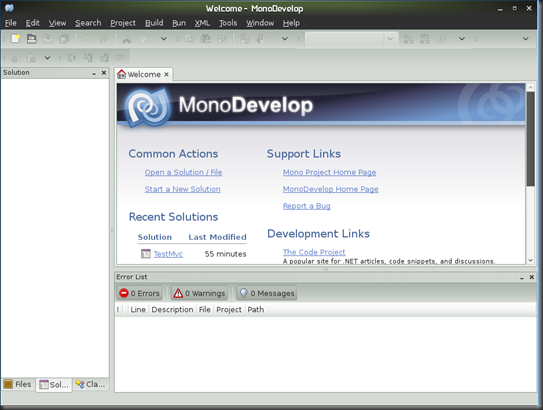 On the desktop you can see the Mono Development Environment (the IDE that you will use in a bit). 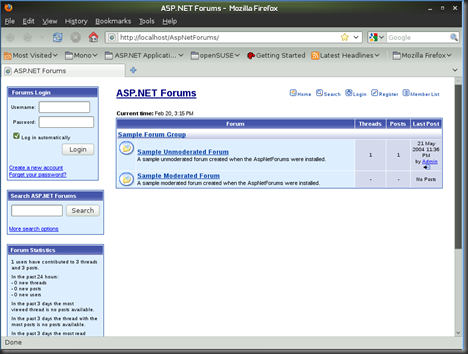 Click the ‘Computer’ button in the lower right hand corner. Click the ‘Gnome Terminal’ option. At the Password prompt, type ‘mono’ and ENTER. 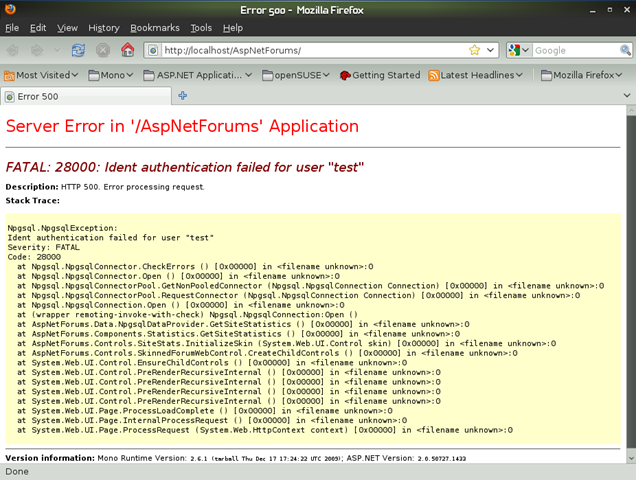 Type ‘vi /var/lib/pgsql/data/pg_hba.conf’ and ENTER. 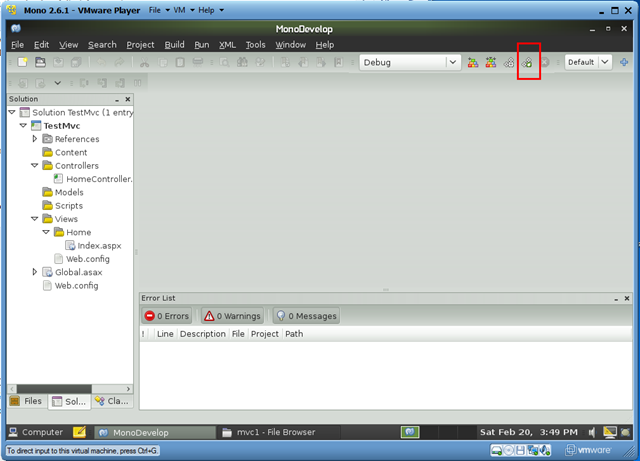 Scroll to the bottom of the editor screen. Type ‘i’ to enter insert mode. And change the top two ‘ident’ elements to ‘trust’ as shown below. Type ‘:wq’ and ENTER to save and quit. 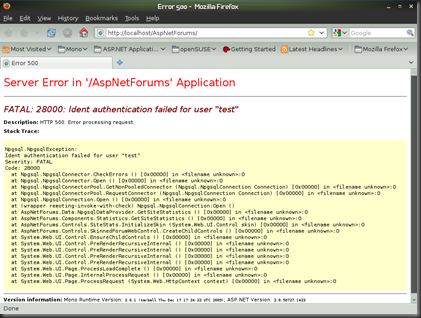 At the terminal window type ‘service postgresql restart’ ENTER. 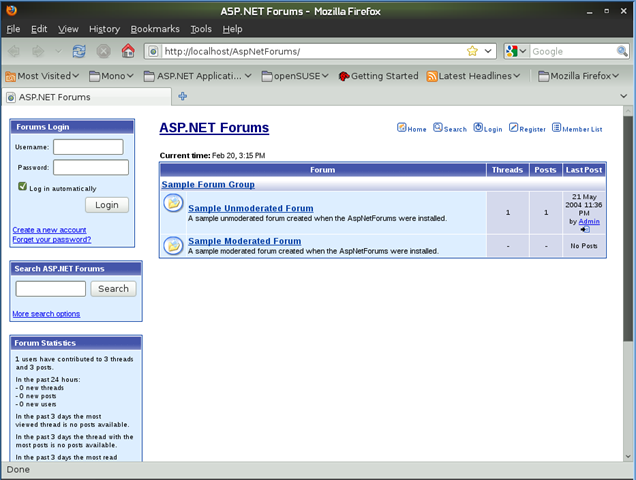 Now you are ready to start your development. 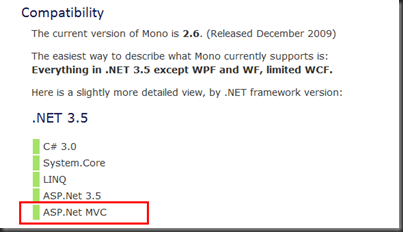 I found the Mono Development Environment to have most of the features that you are used to in Visual Studio. Features such as tooling to create controllers, views; intellisense; and debugging are available. Don’t forget to install your favorite FireFox add-ins.